PAINFIGHTWEAR CAN DESIGN AND PRINT YOUR BANNER FOR YOU WHETHER ITS FOR YOUR NEXT FIGHT YOUR GYM,WORKPLACE OR YOUR BEDROOM! YOU CAN DESIGN YOUR OWN BANNER AND WE CAN PRINT IT OR YOU CAN GIVE US YOUR INFORMATION AND WE CAN DO YOUR DESIGN FOR YOU IN OUR CREATIVE DEPARTMENT. 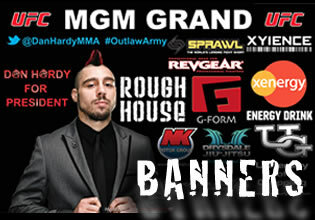 OUR BANNERS ARE TOP QUALITY AND ARE FOR INDOOR AND OUTDOOR USE AND HAVE BEEN USED ON THE UFC,BELLATOR, BAMMA BY THE LIKES OF DAN HARDY, JIMMY WALLHEAD, PAUL DALEY, DEAN AMASINGER, JIMMY MANUWA AND ANDRE WINNER. 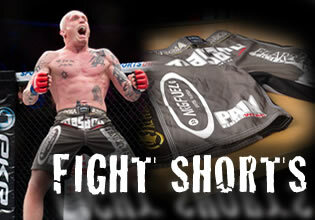 IF YOU WANT ADVERTISING/SPONSORS ON YOUR SHORTS PAINFIGHTWEAR CAN DO THIS FOR YOU. THIS COULD BE FOR YOUR UP AND COMING FIGHT OR MULTIPLE PRINTS FOR YOUR GYM. BRANDS WEVE PRINTED INCLUDE - DETHRONE, VENUM, SPRAWL, XYIENCE, REVGEAR, ROCKSTAR AND MANY MORE. ALL THE PRINTING IS DONE IN HIGH QUALITY VINYLS AND FULL COLOR PATCHES ARE AVAILABLE. AS WELL AS FIGHT SHORTS PAIN FIGHTWEAR SPECIALISES IN WALK-OUT T-SHIRT PRINTING. WHETHER ITS FOR YOUR UFC TITLE FIGHT OR YOUR FIRST TRIP TO THE GYM OUR SHIRTS CAN BE INDIVIDUAL TO YOU. ANY EXISTING MMA SHIRT CAN BE MODIFIED TO INCLUDE YOUR FIGHT SPONSORS. PAIN FIGHTWEAR NOT ONLY SPECIALISES IN FIGHT CLOTHING, WE CURRENTLY WORK WITH DANCE CREWS, MARTIAL ARTS TEAMS, CLEANING TEAMS, STAG AND HEN PARTYS, CAR MECHANICS, BODYBUILDERS, CHILDRENS GYMNASTICS AND MANY MORE, OUR OPTIONS ARE ENDLESS. 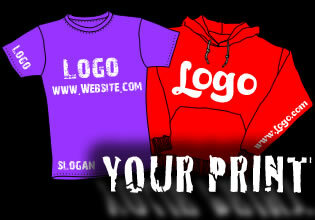 WE HAVE VINYL PRINT, SCREEN PRINT & DIGITAL PRINT AVAILABLE TO OUR CUSTOMERS. WE CAN PRINT YOUR EXISTING LOGO OR DESIGN ONTO JUST ABOUT ANYTHING BUT WE ALSO HAVE A DESIGN STUDIO THAT CAN HELP YOU CREATE THE PERFECT GARMENT.